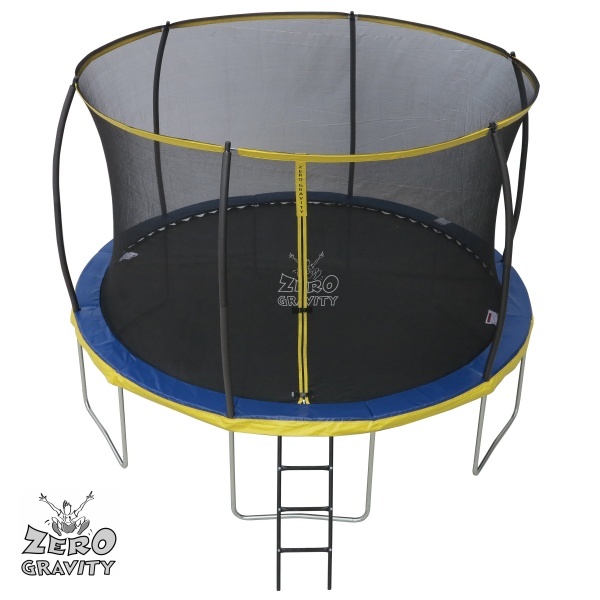 This 12ft Zero Gravity Ultima 4 Trampoline comes with a ladder and a state of the art safety enclosure as displayed. All parts are covered by a one year warranty against manufacturing defects. Should you have any issues simply call our help line on 01264 771247. 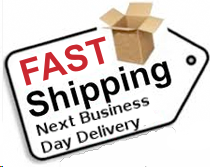 If outside of warranty then all parts are available for purchase individually on this site. A High Level Guide on what to look for in a trampoline follows.. There are 2 important factors to look for when assessing the quality of the padding used on a trampoline. The first is the material the outer skin is made from. It will be either made from PVC or PE, PVC is certainly preferable as it will not tear or rot under UV rays as easily as PE. Thickness of the padding inside is the most important thing though, for trampolines with an internal enclosure then 15mm is fine but you are looking at a trampoline with an external enclosure then we would recommend a minimum of 20mm. The padding on this Zero Gravity trampoline is 20mm thick where it protects the outer frame and the material that is exposed to direct sunlight is made from PVC. Trampolines should only be used by one person at a time and are tested under EN-71 regulations on the assumption that this is the case. 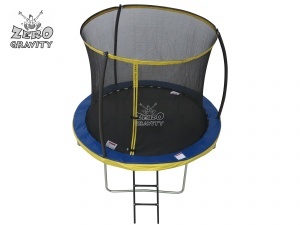 You may see trampolines with 120 or even 150KG maximum user weight. Does your child really weigh 150KG or 23 stone? 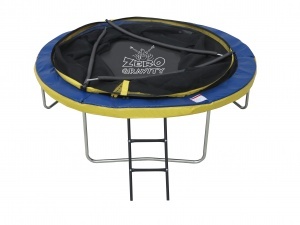 Trampolines should be tuned by the manufacturers for the weight of the user. If its over-sprung in order to increase the maximum user weight then it will be less bouncy than one with a lower limit. Higher maximum user weights mean that the springs are harder to stretch when used by a child and will therefore not produce the perfect bounce. This trampoline has a 100Kg maximum single user weight and has 72 springs. 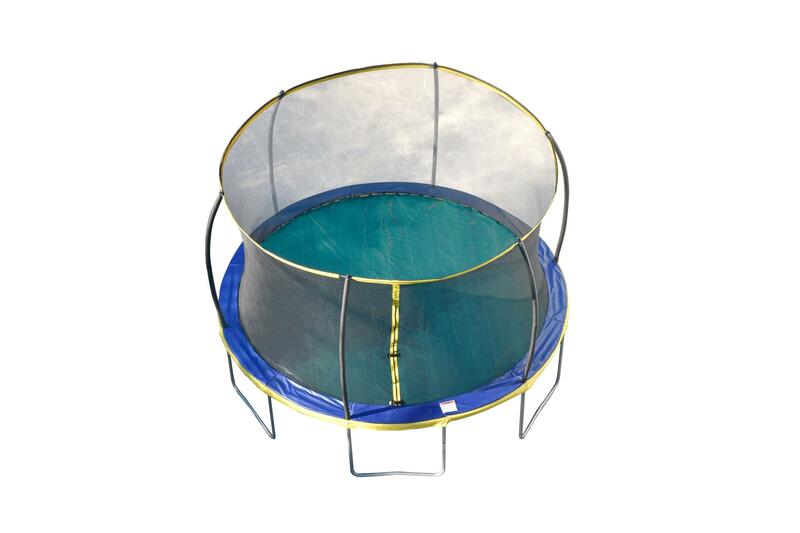 The majority of trampolines are made from welded steel. This does not apply to the Zero Gravity Ultima 4 which has a patented weldless system. 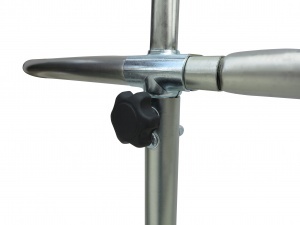 The weld is the weak point on a frame so if you are looking at other models check to see if it has supporting plates to strengthen each joint. If an image is not shown of this component, assume it doesn't or ask the seller. Why is this important? Well tests in our factory have shown that a plated weld will typically crack after a million cycles (or bounces) in normal use, our weldless system will last for more than 2.5 million cycles. A trampoline is not cheap so you should look at it as an investment for many years - you want it to last. 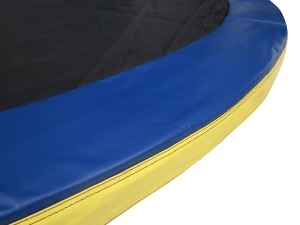 This trampoline has an internal enclosure, this means it's attached to the outside of the jumping mat rather than the outside of the padding. 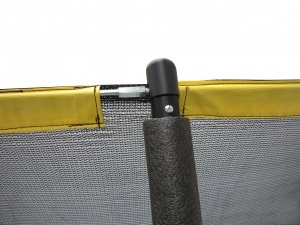 We prefer the safety aspect of this design as it significantly reduces the chance of a child hitting their head against the frame of the trampoline even if it is covered with a padding. Its all down to personal preference but if you do choose a trampoline with an external enclosure please ensure that the padding is extra thick in order to reduce the risk of an accident, also ensure that your child does not use the netting as an extension of the trampoline. 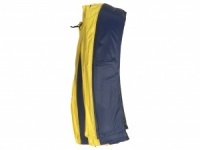 They are there solely to protect the user from falling and should not be used as another area to bounce off. 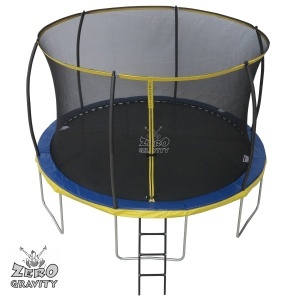 Please note that the enclosure on this trampolines forms part of the structural integrity of the frame and it cannot be used without the enclosure erected. Please click on the link below for full and detailed assembly, installation, care and maintenance instructions. If these are all adhered to correctly, your Zero Gravity Trampoline will provide endless years of entertainment and fun for the family.